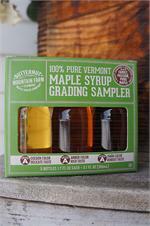 3 glass bottles containing 1.7 oz of different grades of pure, natural, Vermont Maple Syrup. 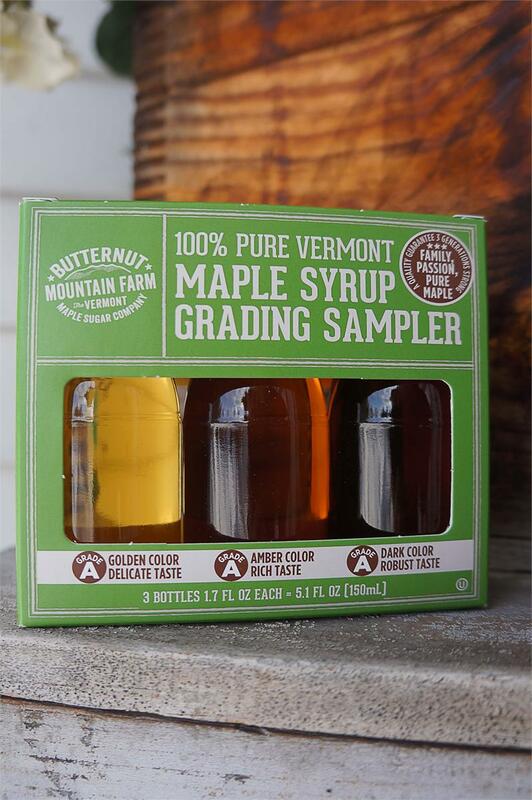 Total syrup weight = 5.1 Fl. Oz. 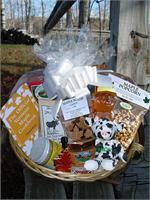 It's just a matter of personal taste which one YOU consider the best! 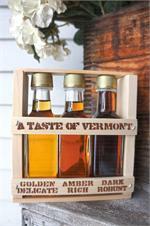 The Sampler is a good way try them all. 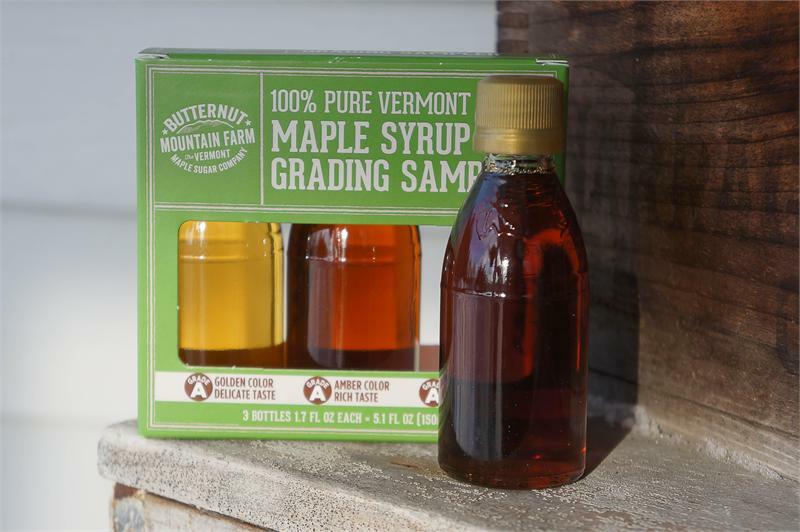 The Vermont Maple Sugar Makers' Association and Vermont Maple Foundation offers the following definitions as a guideline. Golden color and delicate flavor. Pour over vanilla ice cream for a Vermont maple sundae, sometimes called the Sugarmaker's favorite dessert.